Ryan and Katie had both moved to Kansas City in December 2016/January 2017 to find better opportunities and love. After finding each on social media in April 2017, their relationship evolved into everlasting love. During the summer, Katie participated in a work training in South Carolina for 40 days, and upon her return, Ryan proposed to her the evening of. 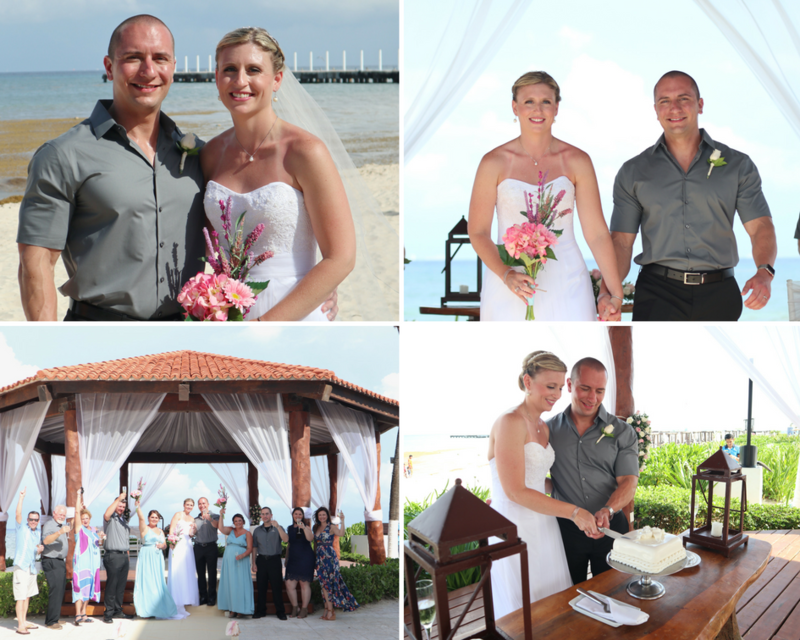 After a year of engagement, Ryan and Katie decided to to tie the knot in Playa del Carmen, sharing their ceremony amongst family and friends. We invited our own photographer for our wedding; Jamie Leavell. Our favorite memory of our wedding was being able to share the moment with family and friends. Our wedding was conducted at The Royal - Playa del Carmen. With their complementary ceremony, they provided a bottle of champagne, cake for our guests, music, officiate, and on-site coordinator who directed the wedding; Estefania. Estefania was absolutely incredible. We stayed at The Royal, Playa del Carmen. Our favorite part of the resort was the food! Additionally, the service was beyond excellent. Our room was serviced regularly throughout the day, the friendliness of the staff was impeccable, and the pool was absolutely amazing. We actually preferred the pool over the beach due to the fun atmosphere, the swim-up bar, and the entertainment provided by the resort. We chose to partner with Love to Travel because we were looking for a seamless experience for not only us, but our guests. The experience was nothing less than perfect. Being perfectionists, the execution was impeccable. Love to Travel provided instructions that guide you through your entire itinerary, names, dates, etc. We loved the experience and will definitely do business with them again! Our advice to other couples would be to definitely consider the resort, The Royal. After talking to numerous guests at the resort, many were repeat customers over the years. All of the individuals we met said that this resort was the best they had ever attended. Love to Travel were absolutely amazing at answering any questions that we, or our guests had, and went above and beyond our expectations. We can't wait to use Love to Travel to book our next adventure!